Pacific Blue walkway and patio stone. A patio stone similar to bluestone with mixed blue-grays tones and a smooth (but not slippery) surface. Primarily blue-gray with subtle banding in darker shades upon closer inspection. Pieces are cut to exact dimensions so coverage is dependent on how much you buy. 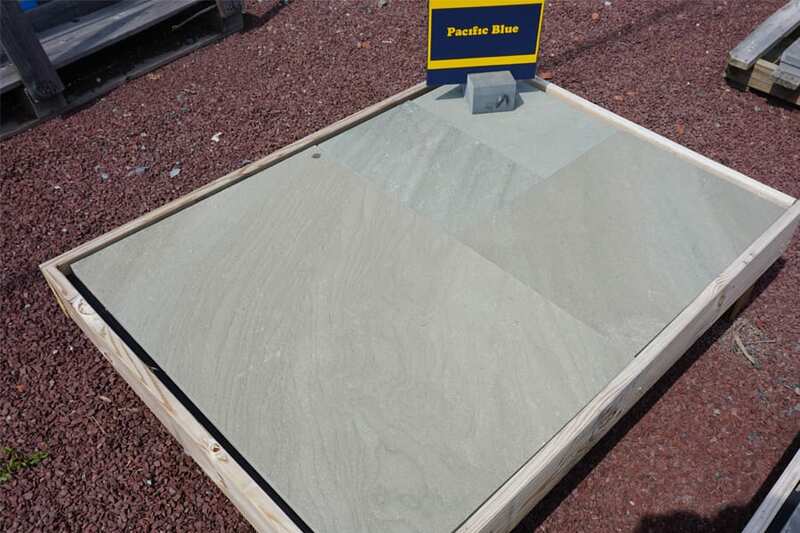 A typical pallet of 1.5" Pacific Blue will cover an average of 180 square feet. 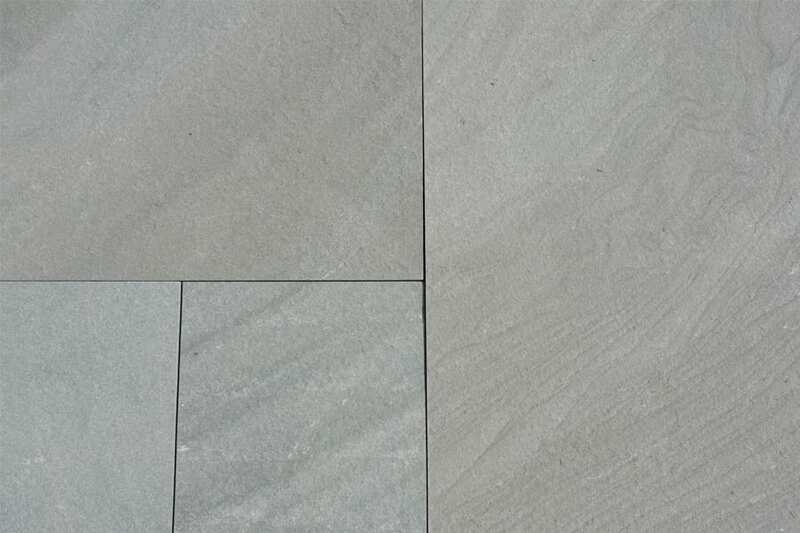 A walkway and patio stone that is similar to bluestone but with unique shades of gray and subtle banding (or grain) that reveals itself upon closer inspection and when the surface is wet. Very easy to work with. Reasonably consistent blue gray colors, and a different set of shades from bluestone. Look closely and you can see the banding.grain of the stone in darker shades of gray.